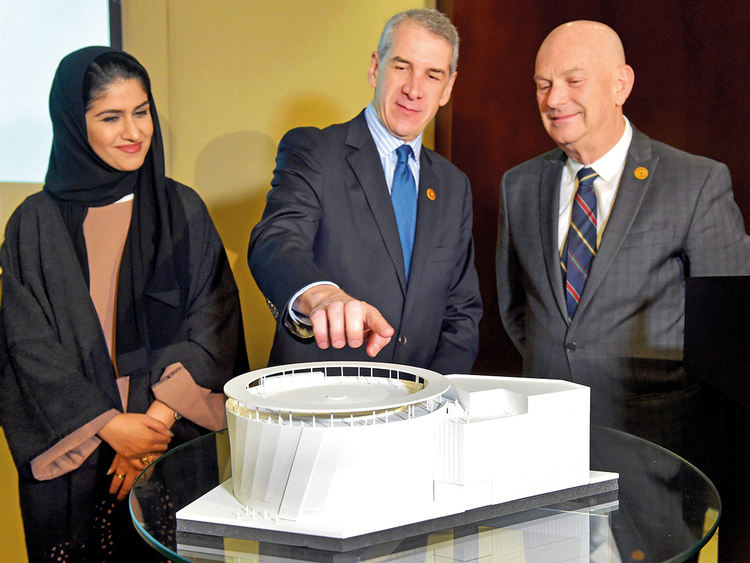 Dubai: American officials unveiled on Wednesday design plans for the $60-million US pavilion at the Expo 2020 Dubai, the next World Fair, which will kick off in October 2020. Construction of the 60,000 square feet pavilion will start in mid-2019, with the pavilion held under the theme of “The spirit of mobility.” US officials said funding for the pavilion will come from the private sector, with sponsors so far including PepsiCo and Virgin Hyperloop One. At a press conference in Dubai, representatives from Pavilion USA 2020 showcased the circular building, which will have an exhibition area as well as a rooftop terrace and observation deck with views of the Expo site. The pavilion was designed by American architect Curtis W. Fentress. 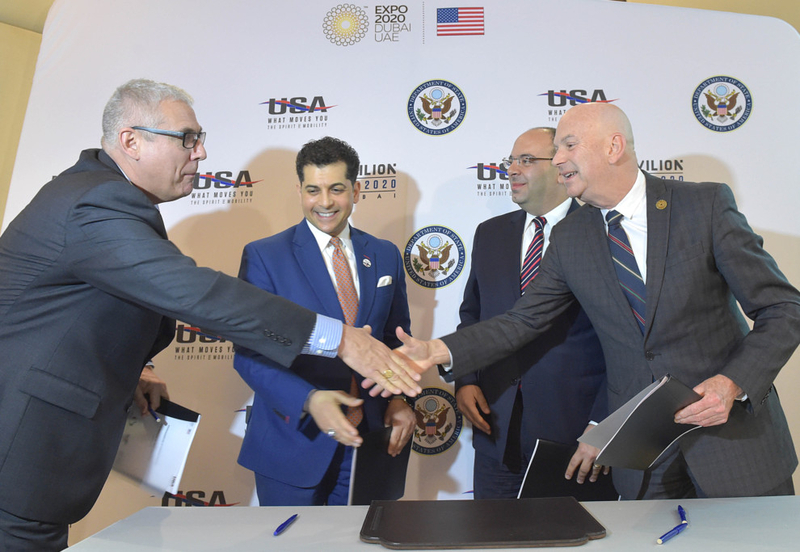 Though construction is yet to begin, Pavilion USA 2020 said the exterior of the building will be set up in the US and brought in to the UAE, with plans to build the pavilion from sustainable and recyclable materials. Gregory Houston, chief executive officer of Pavilion USA, said the pavilion will showcase America’s cultural and commercial highlights. “We are committed to the prudent and responsible management of a pavilion that engages the world with the incredible diversity and innovations that define the United States of America,” he said. Officials have not yet disclosed a list of companies exhibiting at the US pavilion, but a key exhibitor will be California-based Virgin Hyperloop One, which will be showcasing a pod that simulates a hyperloop system. Ryan Kelly, head of marketing and communications for Virgin Hyperloop, said the pod at the US pavilion in 2020 will recreate for the first time the experience of being in a hyperloop, including the gravitational force passengers will feel on a pod. Hyperloop is a mode of transport resembling a train or a metro but moving at a speed of over 1,000 kilometres per hour. Virgin Hyperloop is currently working with UAE authorities about possibly building a hyperloop in Dubai. The company’s presence is in line with the US’s plans to showcase developing technologies and concepts its companies are working on that are going to be utilised in the future. As part of those plans, the pavilion will also have a simulation of the ground on Mars, partnering with the Buzz Aldrin Space Institute to showcase space technology. 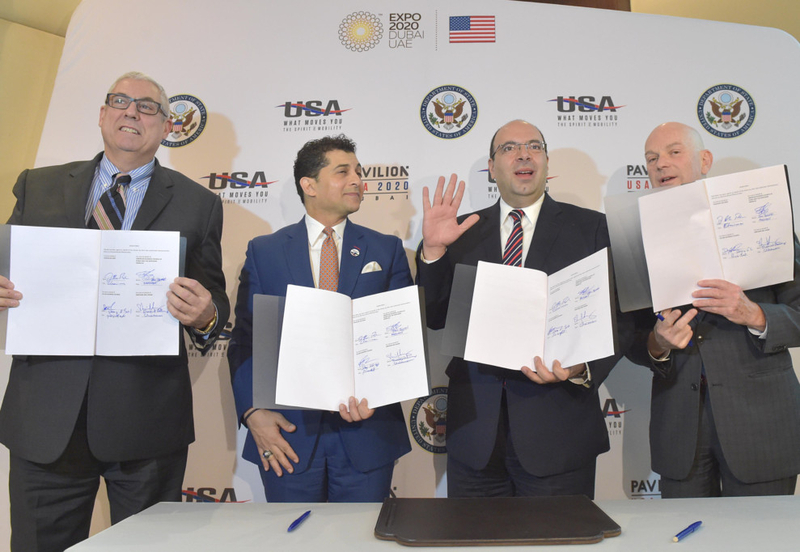 The press event in Dubai also saw a signing of a memorandum of understanding between Pavilion USA 2020, AmCham Dubai, AmCham Abu Dhabi, and the US-UAE Business Council to promote the goal of engaging the private sector in the pavilion.